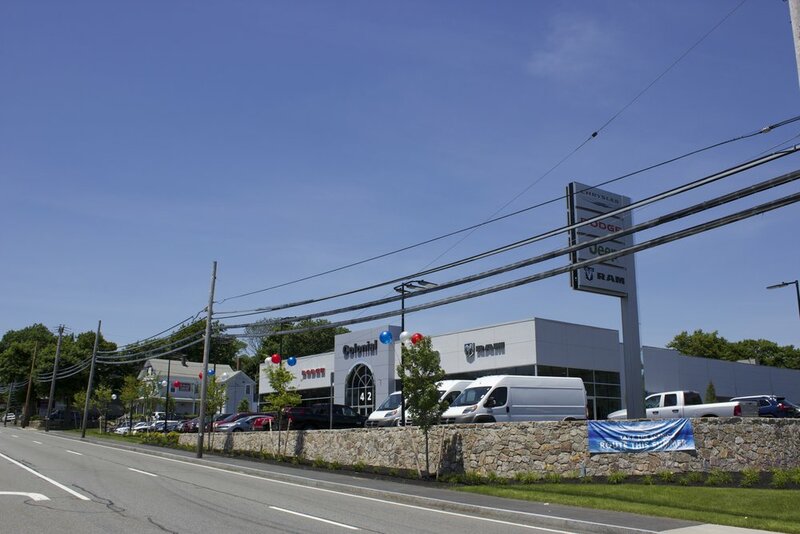 The site of the former Colonial Honda and Barry Volkswagen dealerships located at 26 and 42 State Road has become the new home of Colonial Chrysler, Jeep and Dodge of Dartmouth. All of the existing structures at both sites have been razed and a smaller, more efficient 16,100 square foot facility will be constructed at 42 State Road. 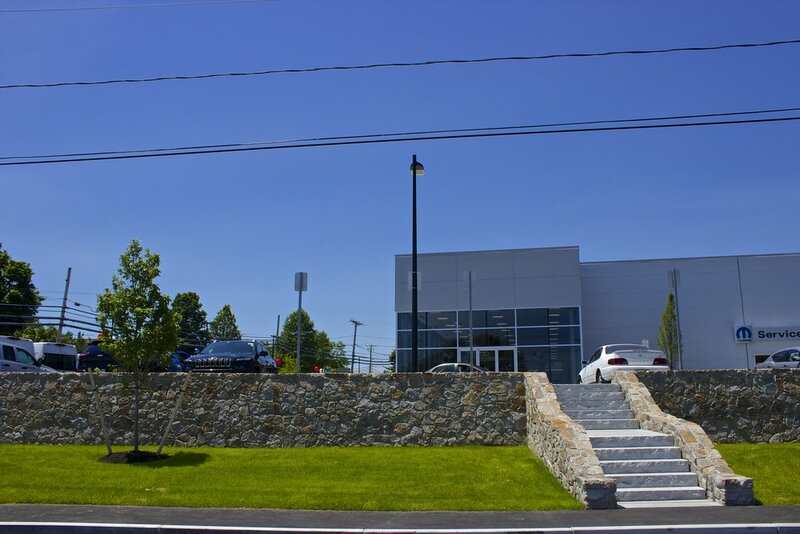 The adjacent site at 26 State Road will be utilized as a vehicle storage and display lot. Variances and Special Permits were obtained from the Zoning Board of Appeals as both sites are partially located in the Residential District. WDA worked closely with the Town and residential abutters to provide a substantial landscape buffer. Other site improvements include an upgraded drainage system, improvements to both vehicular and pedestrian circulation and significantly more landscaping and open space.